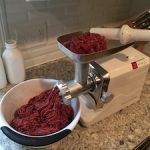 A durable meat grinder that won’t break the bank. 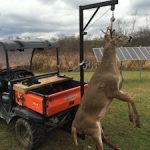 Over the years, there has been a gradual shift in the way I process my deer as I get it in the freezer. In the beginning, we made sausage out of everything except the loins and tenderloins. And we did it all in one session. With a manual meat grinder. Never. Again. Grinding a whole deer up all at once AND making it all into sausage at the same time is EXHAUSTING. I do actually like manual grinders. Just not to make 70 lbs of sausage at once. This was a later lesson: You can do way more with meat that is kept whole. You can always choose to grind it later. 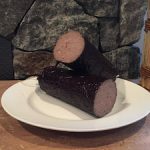 Keeping frozen deer portions to 2 to 5 lbs is ideal – you can do a sausage making session with this much meat in about an hours worth of time. We already had a KitchenAid mixer, so after that first deer, I bought the grinder/sausage stuffer attachment. 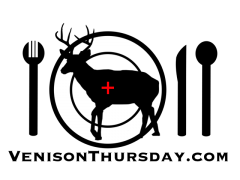 While this works great, if you are a serious hunter DON’T GO THIS ROUTE. You will eventually have to buy your wife a new mixer. I prefer a stand-alone grinder, and after a LOT of research, I gave the TurboForce 2000 a try. I know you just said that in a Monster Truck announcer voice. Partially frozen meat is easier to work with than totally thawed meat. One of the things I’ve read about grinders, is you want one that is described in horsepower, not watts. And, the more horses, the better. This grinder was over 2 HP. And it was CHEAP. Which concerned me. Grinders of similar power were much more expensive. But the reviews didn’t scare me off, so I figured I’d see how it does. At first look, it’s a solid little grinder. It comes with 3 blades, a coarse, medium, and fine. That was already better than the KitchenAid. Then I ran it. It is quite loud. But I’m a shooter after all, I have hearing protection. So I put my ear muffs on and ran some meat through it. It ate everything I threw at it. I even ran some mostly frozen meat through it. It doesn’t sound pretty, but it handled it. 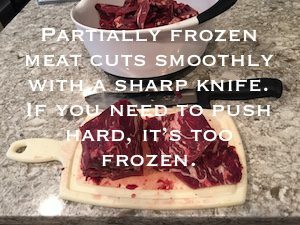 When grinding meat, I recommend chopping it up with a knife while it is partially frozen before running it through the grinder. 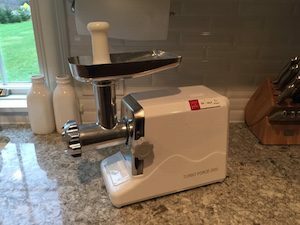 While this grinder has so far proven to be pretty tough, you should help it out if you can (that might have saved my KitchenAid). Run the meat through a second time through the medium plate. I will usually run the meat through twice: first through the coarse blade, and then through one of the finer blades depending on what I’m making. If you are adding some kind of seasoning, add and mix it in with the meat before the second grind. When you grind it again it will be mixed just that much better. Is it the best grinder out there? No. For the money? Probably. I really expected this grinder to die pretty quick, just because the price was so low. 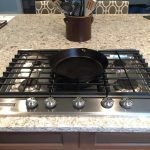 But it has held up for several years now, and has run through probably 100 lbs of meat for me. If you need to grind constantly, I’d say go more higher end. 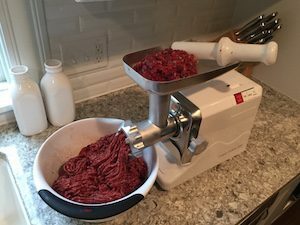 But if you plan on only doing 5 to 10 pounds of sausage at a time, a few times a year, this grinder is a good way to go. I have not been disappointed with it.